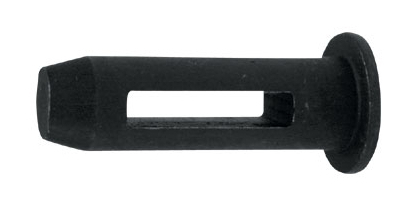 The 2” is accomplished with the use of a Four Hole Combination Tie. We recommend use of 50% more four hole ties in seam than would normally be used. The 2” requires flathead pins on both sides of the wall. 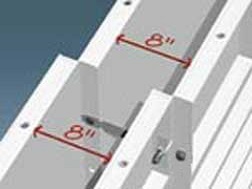 The 4” Offset requires the use of a 90° Angle Clip or an OSC angle and 4”x4” ISC to achieve the desired dimension. 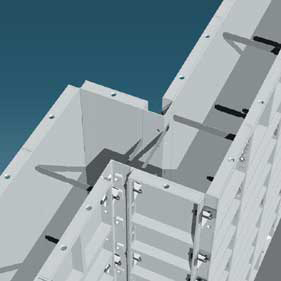 The 6” Offset requires the use of a 2” OSC “W” and the use of a 4”x4” ISC to achieve the desire dimension. 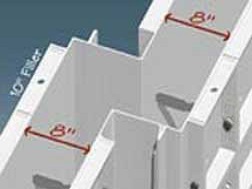 The 8” Offset requires the use of a 2” OSC “W” and the use of a 4”x6” ISC to achieve the desire dimension. 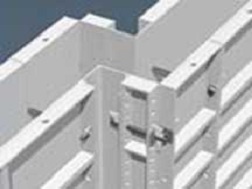 The Offset ISC is designed to eliminate the need for additional bracing. 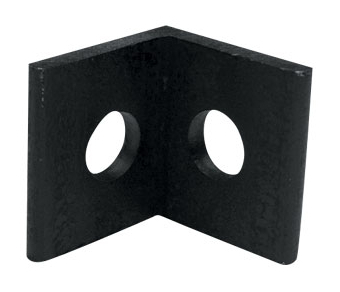 This is achieved by placing holes in the face sheet of this ISC. This allows ties to pass through the center of the offset.The offset ISC is one of WTF-most versatile corners. 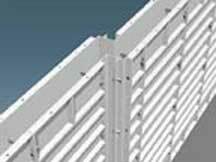 It can be used as a standard ISC or for various offsets using different size fillers. One pair of Flathead Pins is required to achieve offsets. The Adjustable Offset is a one piece ISC. One pair is required to accomplish offset. 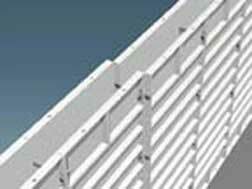 No additional ties or bracing is required using these offset ISC. The Adjustable Offset ISC is used for a variety of different offsets without the need for different sized fillers. 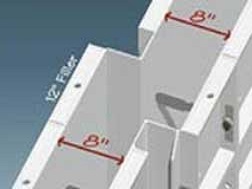 Standard offsets are 6"-14" on 2" increments. 1. 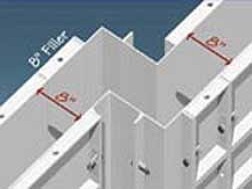 Always use the largest corners available to achieve offsets, for example: 4”x6” ISC and a 4”x4” OSC “W” to achieve a 10” offset. 2. 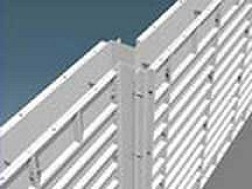 When Forming Offsets with corners and fillers larger than 4”, bracing is required to eliminate the chance of “kicking” or moving out of square when concrete is placed. 1. 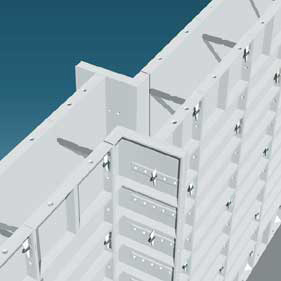 Forming small offsets with fillers may hinder the stripping process. An example of this is using an 4” filler with an 8” offset. It is virtually impossible to remove a 4” filler pin adjacent to a 4” ISC. 2. Not bracing a offset larger than 4” may result in an out of square offset.